Job (pronounced Jobe) Vigil’s life story could be a screenplay—personal struggle, hardship, perseverance, redemption, triumph, and concluded with a happy ending. After graduating from Pueblo East High in 1969, he was offered a full ride music scholarship to Adams State College, Alamosa, where he became a concertmaster for the school’s orchestra his freshman year. Then he lost it all. He was asked to join the group—as the band’s bus driver. “After a while I moved back to Pueblo. I then got a call from my cousin Charlie. He wanted me to join a band.” The band was Kismet, which had a regular gig at the Foothills Ramada Inn, as well as Taylor’s Supper Club, in Denver." It was around this time Vigil started writing songs. While admittedly he said he was naïve about the process, it allowed him to get his feelings on paper. 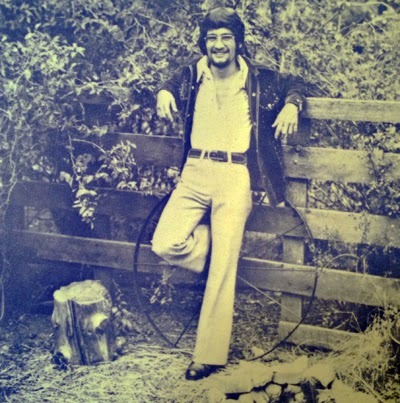 In 1975, after finishing several heartfelt compositions, he decided to take them into the recording studio. Enlisting the financial help of his parents, and including his sister Elizabeth (background vocals), Marc Gonzales (bass), drummer Phil Tamez, and guitarist Dave Kintzele, Vigil booked studio time at Viking Recording in Denver. 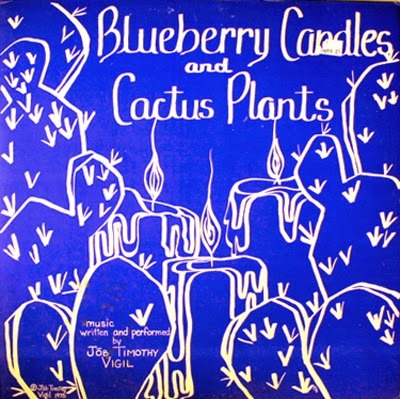 Feeling positive about the finished product, and with the encouragement of family and friends, he had an estimated 200 copies of Blueberry Candles and Cactus Plants pressed. While the record received no local airplay, and would go on to sell only a handful, the experience only fueled his desire to get his music heard by a larger audience. Listen to a sample of "A Little Piece of Love"
Listen to a sample of "No Promises"
But the money started to run out. After witnessing the hardship of life in Hollywood, he dug out the open-ended return air ticket he had kept, and flew home. Not deterred by the experience, he continued to perform, eventually re-connecting with Marc Gonzales, in the band Cheeks. The two kept the band going for about three years. Vigil and his wife, Gail, then packed up and moved to Dallas where he found work in area nightclubs. With the steady paycheck, and additional work as a nightclub manager, it appeared he finally found some stability in his life. "My following at the North Park Inn grew quickly and I added a happy hour gig at another bar. One night a regular customer told me he really liked my original music and thought I should record. I said I would love to, but didn't have the funds to do so. He was pretty wealthy and said he would invest the money for a single and then we would see what would come of it. By then I was also the manager of the North Park Inn nightclub, as well as the other gigs. I decided on the two songs and flew Marc Gonzales down to play bass and used a drummer from my trio from the bar. Another group of musicians had become friends of mine and I loved their vocals, so they agreed to sing backup for me on the recording. We did the session all in one day and I had about 250 records were pressed." "I either sold all of them or gave them away. I didn't get any airplay that I know of, but it was a great experience. The recording studio was an amazing place, the name of it slips my mind, but all in all I liked the final product. These two songs were a little better than the songs on my first album, but still not strong enough to boost my career. As if fate would have it, his cousin Charlie contacted him. “He had become a Christian and was playing in a church band. 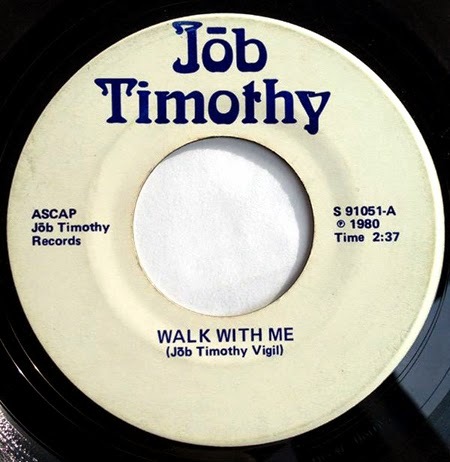 My wife and I went to see him one night, and we liked it so much we kept going.” Vigil was so moved by the experience he knew he found his calling – as a Christian musician. Married 36 years in May, he and his wife also run two coffee shops in town (Da Buzz). He continues to perform music in a three-piece band, Job, Peter and Chuck.